That’s right! We’re gearing up for 2012 Fiber-in. We’ll be at the I-Drive Radison Hotel September 21 & 22. Come see what was freed from these ties. 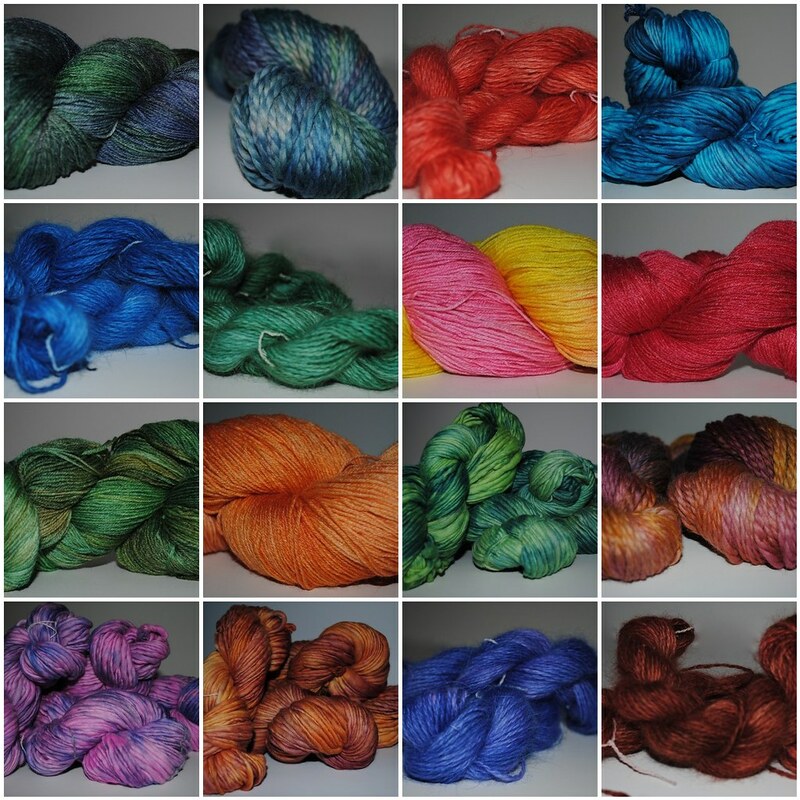 They’ve inspired some of the newly dyed yarn we delivered today to Sip and Knit: Biscayne Bay, Life Jacket, Turtle Kiss, and Traveler’s Palm. 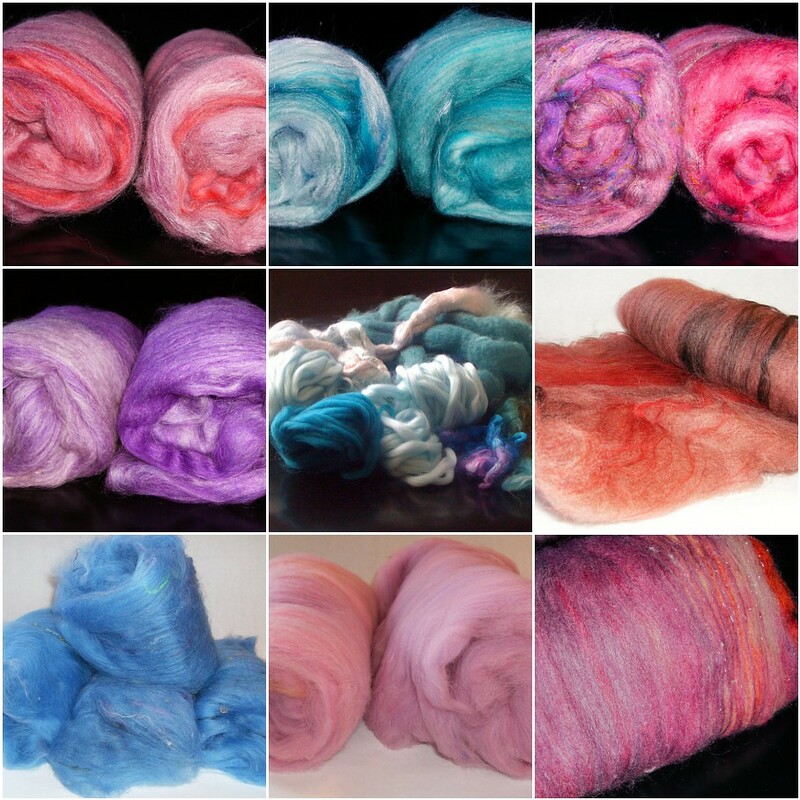 Some of these color combinations are in our last roving update. 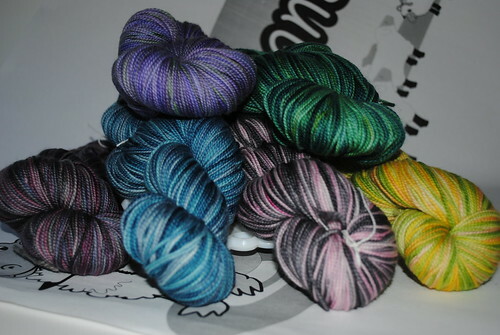 You’ll also notice when you stop in the store that they’re on a new yummy base and have extra yardage. 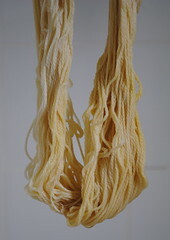 Please come and pet Long and Strong Sampson Sock 125 grams and 480 yards of 90% superwash merino with 10% nylon. 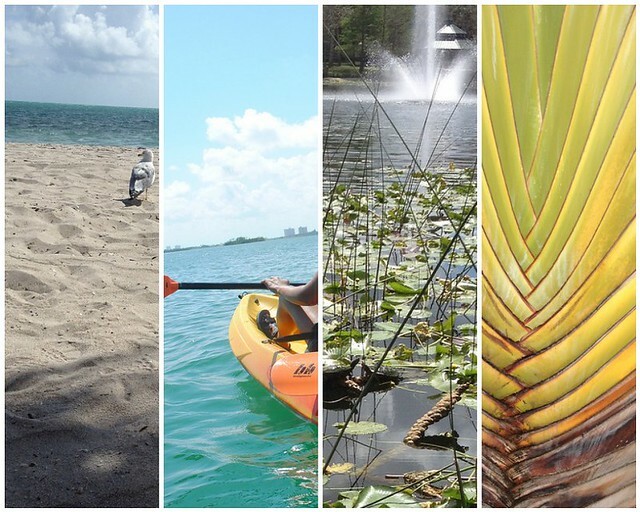 After a little respite in Miami, I thought some new Florida inspired colors were due. Enjoy! They can be found at our Etsy shop. 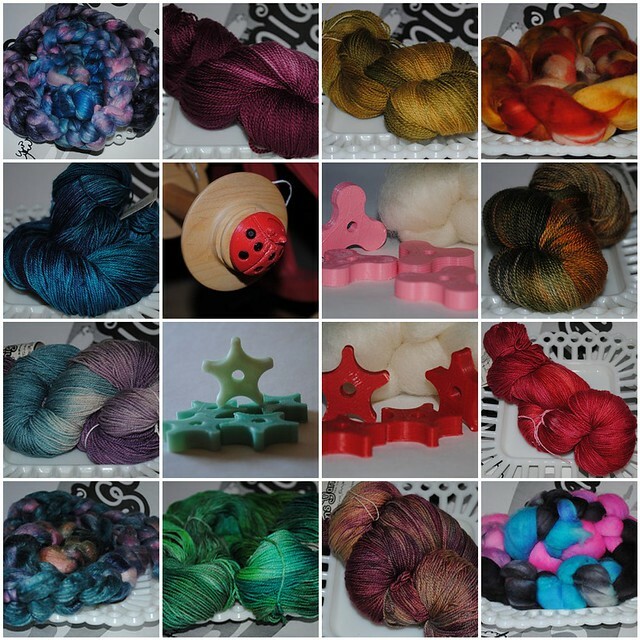 Updates for the etsy shop! We’re adding new things to etsy all the time! 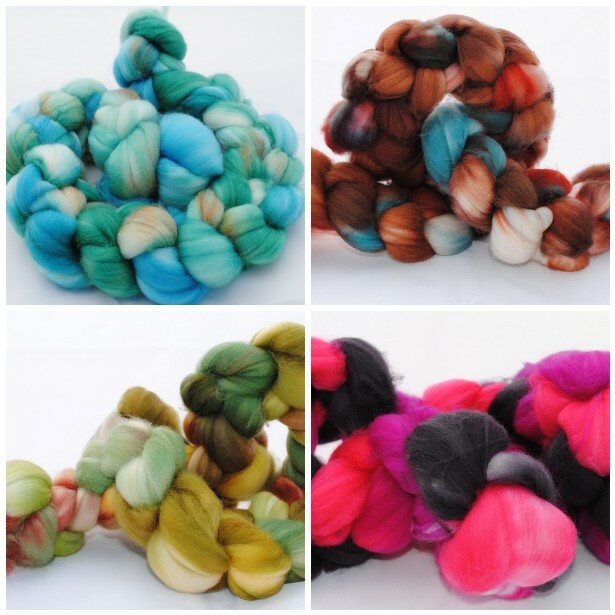 We’ve got new sets of ladybug spinning wheel knobs as well as sock yarn and roving. 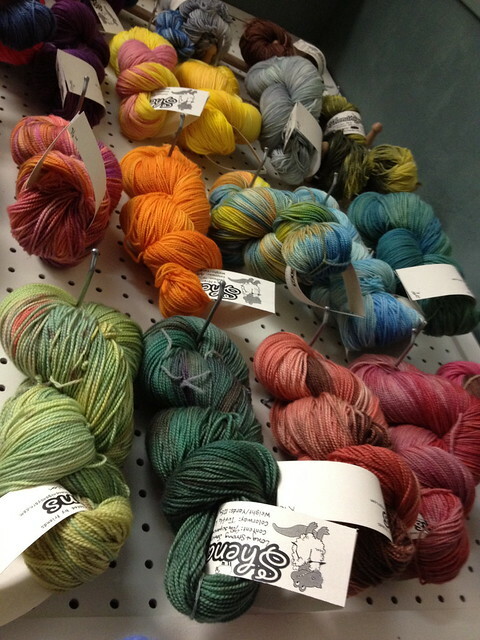 We also have new striping sock yarn at Sip and Knit! We’re excited to be going to the Orlando Fiber-in this year. We’ll be there on Sunday, September 18th in the morning for a few hours. 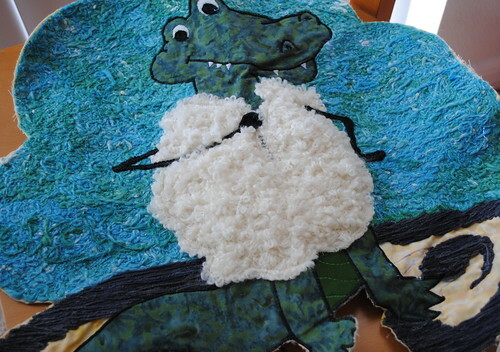 Just look for the alligator! Didah!! 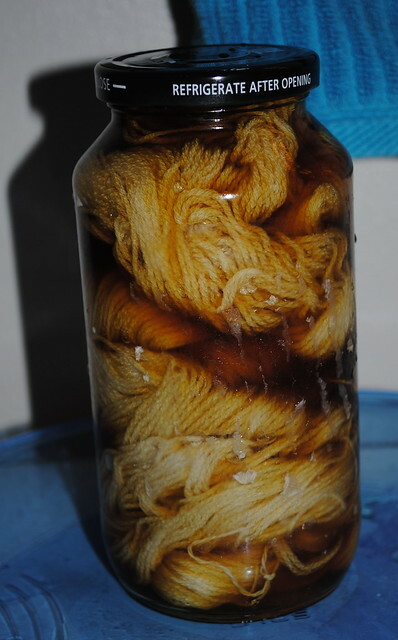 The yarn is out of the jar and was surprisingly bright yellow straight out of the jar. It has mellowed out to a delicate tan. 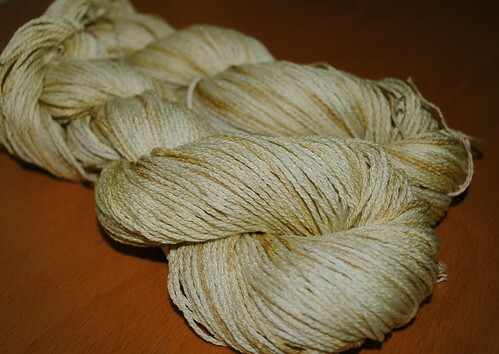 I’m also trying out some new fiber wash from Unicorn so it should have a very lovely lavender scent instead of stinky mushroom sock that has been perfuming the air for the past week. I’m quite happy with this and if the mushrooms keep popping up at work every few months, I should be able to dye more of this color. I’m a little concerned that it seems to be fermenting and making a lot of air bubbles which the juice alone doesn’t do. 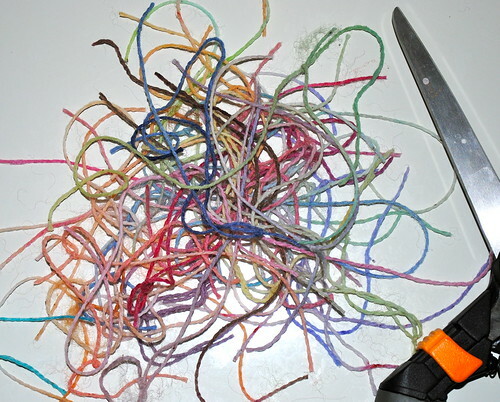 I’ll check the yarn tomorrow. 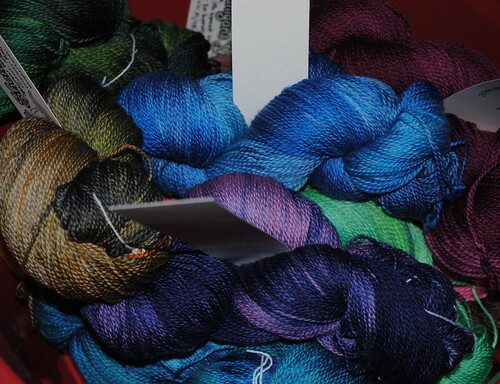 At the time this described this lovely batt from Politically Incorrect Yarns. 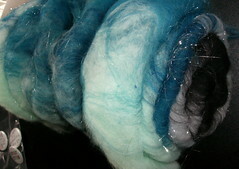 Well we now have our own line of beard hair: Batty Blends created by whim and our new Louet drum carder. Most of these can be seen at our Etsy version of this store. I couldn’t stand it and started spinning some of my own. I’ll post those in a couple days when they’re dry. 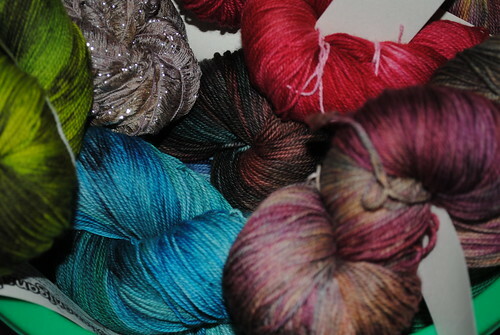 I do have to say they are really fun and create some unusally textured yarn. You are currently browsing the archives for Color update.